Welcome to Sherman's Resort of Curtis, Michigan. We have a great resort situated on South Manistique Lake. Come and experience the beauty of our Upper Peninsula location. Its all here at Sherman's Resort. Enjoy our clean and family friendly beach, enjoy your summertime here with us. We also have a great playground. Our cabin rentals are spacious and comfortable. Make your reservations today with us. 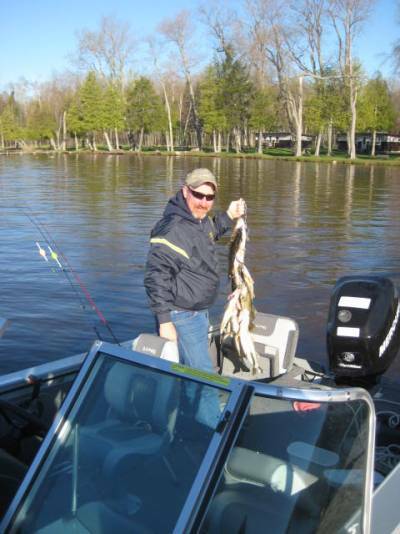 Come and experience the best fishing around, here on South Manistique Lake. Our location is fabulous. Situated on the Back Bay of South Manistique Lake, you can expect beautiful views and surroundings.